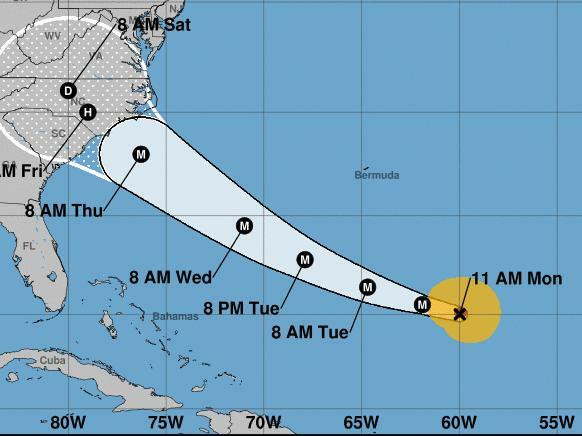 Area Beachgoers Need To Keep Rip Currents In Mind As Hurricane Florence Moves Closer To U.S. 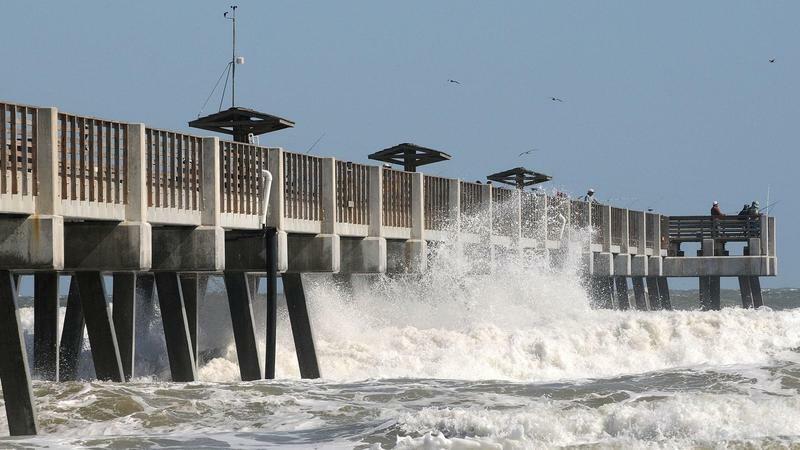 The Jacksonville Beach Pier is pictured during high surf in 2011. With Florence now a major hurricane and currently forecast to head to the Carolinas, First Coast area beachgoers need be aware of possible life threatening rip-currents this week. According to the National Weather Service, there is a high rip current risk along the Northeast Florida and Southeast Georgia coast. People are urged to pay attention to flags and signs posted on area beaches. Florida Public Radio meteorologist Jeff Huffman said Monday the storm is expected to create some very rough surf along beaches on the First Coast. "Large ocean swells are already arriving this morning from Jacksonville to Daytona Beach, and those will only get higher and extend further south. The risk for rip currents will be high the entire week at ALL Atlantic beaches. And coastal flooding can't be ruled when wave heights increase Wednesday and THursday, especially at times of high tide," said Huffman. We’ll also see increasingly rough surf developing around mid-week. The new moon will bring elevated high tides to the Atlantic coast, the Intracoastal Waterway and the St. Johns River over the next few days. The King Tides as they’re called could result in minor flooding of low lying areas. 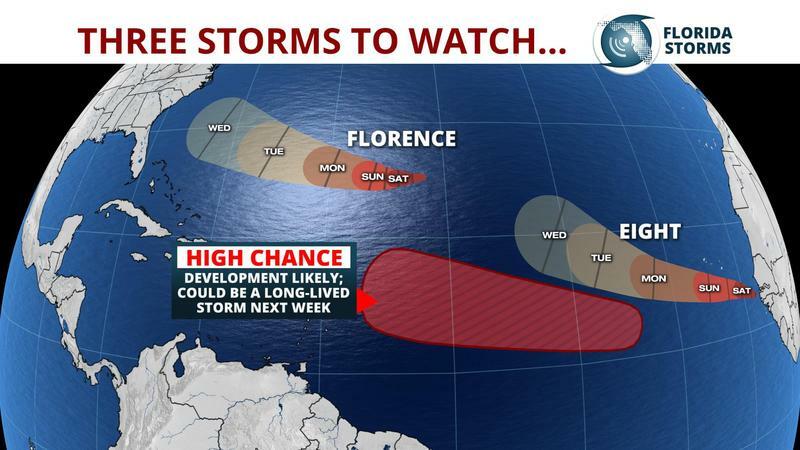 Huffman is also keeping an eye on Hurricanes Isaac and Helene that are chugging across the Atlantic behind Florence. However, he says, those storms pose no immediate threat to the Sunshine State at this time.